I got lucky at the comic shop. I went in to pick up new comic books on Wednesday and while I was walking through the store, picking up my new issues, I spotted the one issue I was missing from a recent mini series. 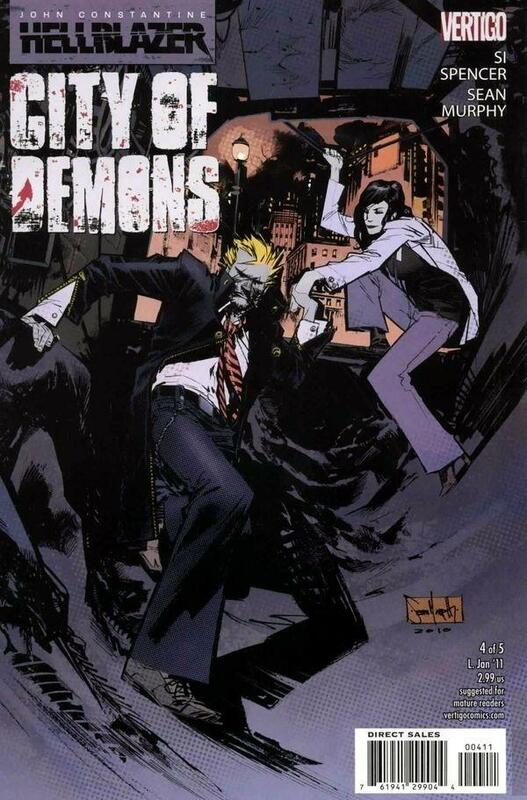 A Hellblazer: City of Demons #4 was city on the rack next to the couple week old Hellblazer: City of Demons #5 and #3. Somehow I had missed the comic of the day (issue #4) one week about a month ago and all of the comic shop's copies had sold out (because it is awesome). I grabbed the one copy and ask the shop keep (I'm trying to bring "shop keep" back), "I have looked for this issue every week since I missed it's release, and now a month later I finally found a copy. What gives?" Mike, the Comic Bug co-owner, told me it was probably from a regular's pull list who had not come in the shop for a while so they started putting some of his older issues back on the racks. I have never felt so fortunate for someone's misfortune. 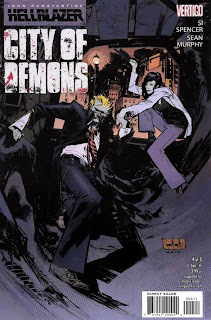 Finally after reading Hellblazer: City of Demons #4 I can read the copy of Hellblazer: City of Demons #5 which I have had sitting around for weeks. Tomorrow I will do closing thoughts on Si Spencer and Sean Murphy's so far so good John Constantine tale, Hellblazer: City of Demons.